Welcome to Good Price World, home to the best selection of premium massage chairs and accessories online. Our inventory includes the best massage chairs and massagers from Kahuna Chair, a leading brand of 3D zero-gravity massage chairs. Treat yourself to an invigorating massage from the comfort of your own home with one of our massage chairs online. 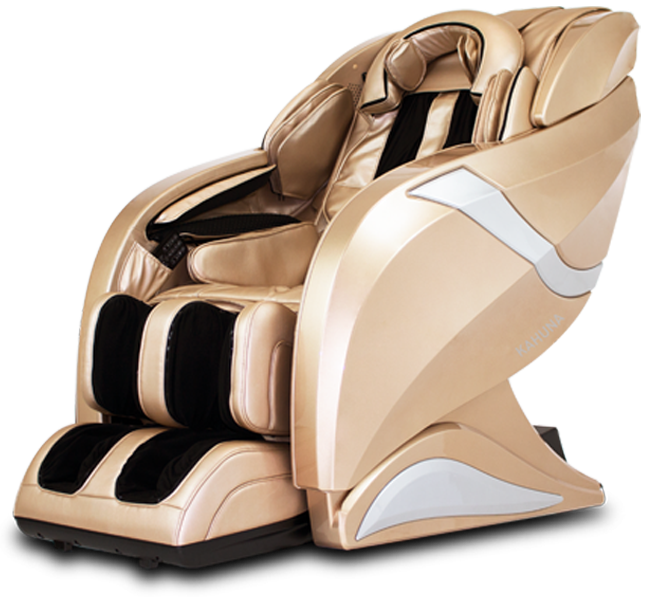 Our massage chairs and accessories feature state-of-the-art technology and ergonomic designs to provide the best possible massage. Many of our products also include built-in massage programs to target the muscles in your neck, back, shoulders, buttocks, and legs. 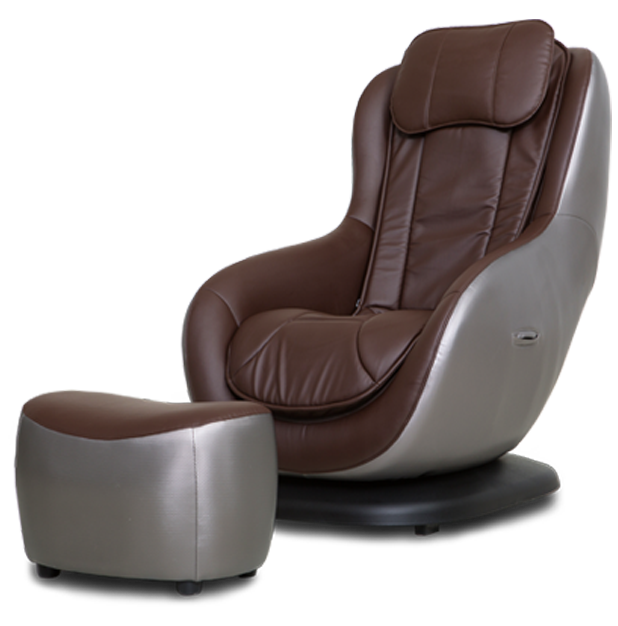 Check out our entire selection of massage chairs online, or browse some of our more popular items below. Introducing the New 2018 Superb Quality Human-like Full-Body 3D Zero Gravity Massage Chair. 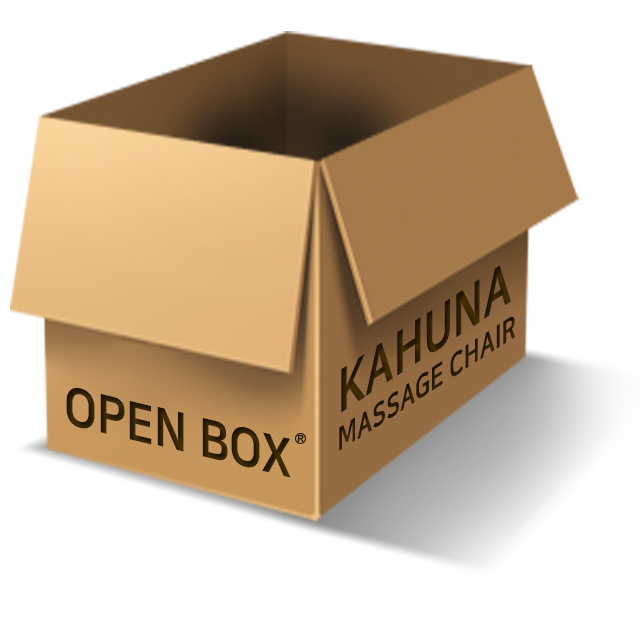 Kahuna Hubot promises to provide ultimate rejuvenation and soothing relaxation for those who need a professional, high-quality, full-body massage therapy session at home. Along with the innovative HSL-Track, Hubot features the 3D performance KMS-08M-225L Massage System with nearly double-sized high-elasticity massage balls that protrude to every inch you need. 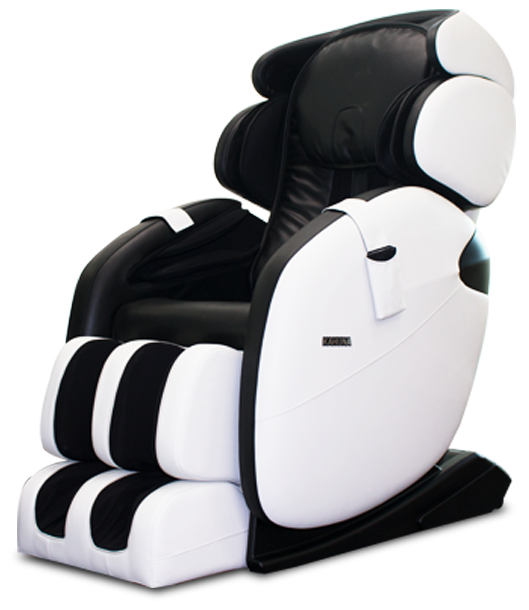 KMS-08M-225L can easily run the massage session up to 1 hour without overloading the chair, and it’s able to perform the best of the sophisticated massage sessions. 15 New Massage programs including basic rejuvenation and relaxation programs, most popular 2 Kahuna Signature Programs, 3 Stretching, 2 Chiropractic programs and 4 Special sports massage programs with 7 separate air and roller intensity level control. SIZE- Recommended Height: 5'1" to 6'2", Recommended Weight: Under 350 lbs, Shoulder & Seating Size: Shoulder - 24" Seating 17", Chair Upright Position: 52" X 31" X 48", Chair Reclined Position: 38" x 31" x 74" + 7" (Leg extension). 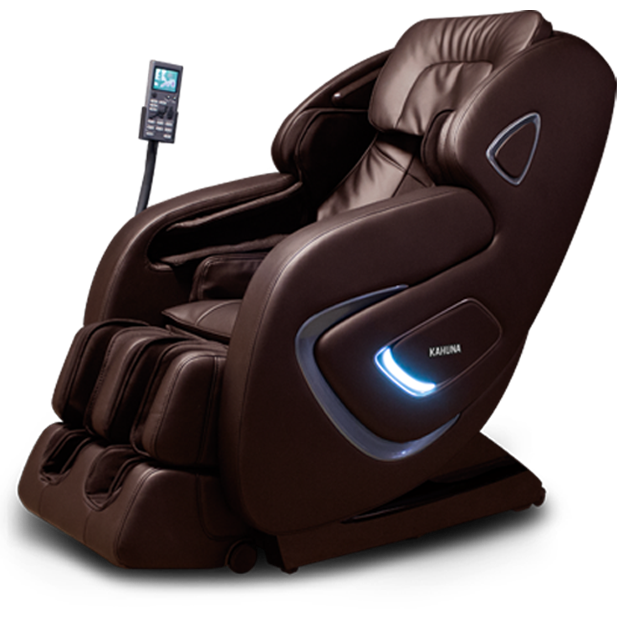 Massage chair built to focus on a higher-quality massage experience with a variety of auto programs that feature bigger body range coverage. It features a strong massage performance with lasting performance. SM Series main massage system is on a SL-track with 6 wheel rollers. SL-track is the shape of roller trail with a curve that is designed to provide support to your neck, back, and all the way to buttocks. This system will cover your entire back and decompresses everyone’s spine and increases the effects range of massage by far. Advanced 3 technique Foot Massage with long extension. Full coverage squeeze function with 3 different techniques with tapping, rolling, scraping with dual air-cells that inflate and wrap around the sides of your calves and top of the foot. LM series main massage system is on L-track with 4 Rollers. It is a standard size massage chair with shape of roller L-track designed to provide support from neck to back and all the way to buttocks. 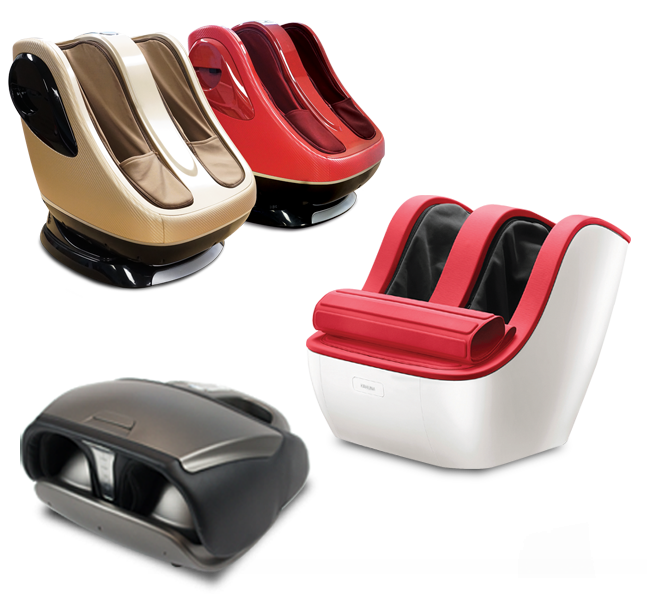 With the many features it provides and affordable price, it is customers pick #1 massage chair series. Space-Saving Technology with zero gravity angle. Space-saving sliding reclining system will only need 3” from the wall, it will always look great in your room. Kahuna special auto programs with Dual foot rollers with full-body air-cell massage system gives you full rejuvenating massage. 4 different auto programs that target different areas of the body which includes Full Body, Neck, Back, and Seat. 3 different types of massages, including Knead, Tap, and Percuss, as well as customized targeting of the massage areas. Black, Red, Brown chair color options with a stylish user-friendly remote that can be easily operated by simply choosing what you want. All Open Box products have same warranty as new. All Open Box products will be inspected and fully tested by certified technician.